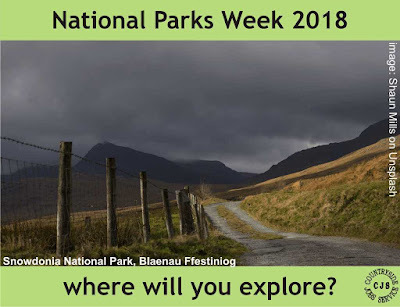 Secret coves, historic hillforts, ancient forests and tranquil lochs are all waiting to be discovered this National Parks Week. National Parks Week is the annual National Park family festival championing all that is unique and special about National Parks. This year’s festival celebrates the countless opportunities to get outside and discover the length and breadth of the UK’s 15 National Parks. From treasure trails and seaside safaris to guided forest walks and local food and drinks, there are a series of diverse events on offer in every National Park. More here. The Cairngorms National Park is Britain’s largest National Park. It contains some of the best wildlife habitats in the UK including ancient pine forests, arctic mountain tops, lochs, rivers and moorlands. Home to a quarter of UK threatened species, it is rich in landscapes, habitats and heritage. With such unique qualities the National Park is a fantastic learning resource that inspires people to find out more about its natural and cultural heritage.